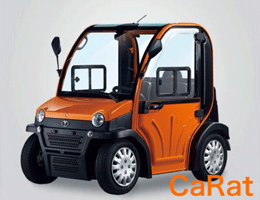 CaRaT is an electric commuter car.Not so big to look at, but it’s very useful to you and supports your city life with safety.With really good mileage, you can drive smoothly and swiftly in the city.Choose your favorite color from 8 color variations. 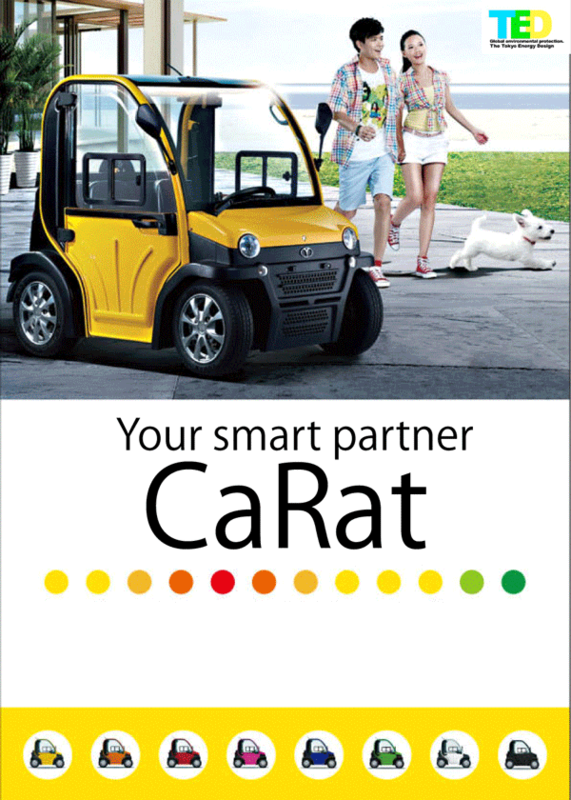 and enjoy driving with CaRat ! 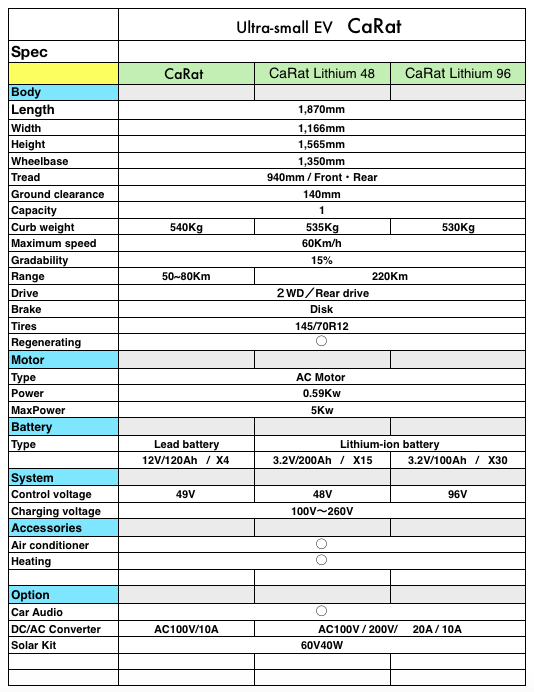 CaRat can be charged using an auxiliary cable in 3 hours and has a maximum driving range of approximately 50 to 80km. It can accelerate up to 60km/h. Not only is the CaRat suitable for shopping and commuting, but it can also serve as a great publicity tool for your business, thanks to its cute design and bright color schemes that make the car stand out from the crowd. Copyright © 2019 株式会社 東京エネルギーデザイン　All rights Reserved.